needed a conductor size of 37/0.315mm is used with up to 4 cores. In this case the current should not exceed 13 amps. The cables are produced unscreened and either individually or overall screened. for the 16/0.20mm and 37/0.315mm conductors. The sheathing compounds are PVC type TM2. The cables are also available in heat resisting PVC by quoting the reference number and duplicating the final letter. The maximum voltage for these cables is 440 volts rms at frequencies up to 1.6Khz. 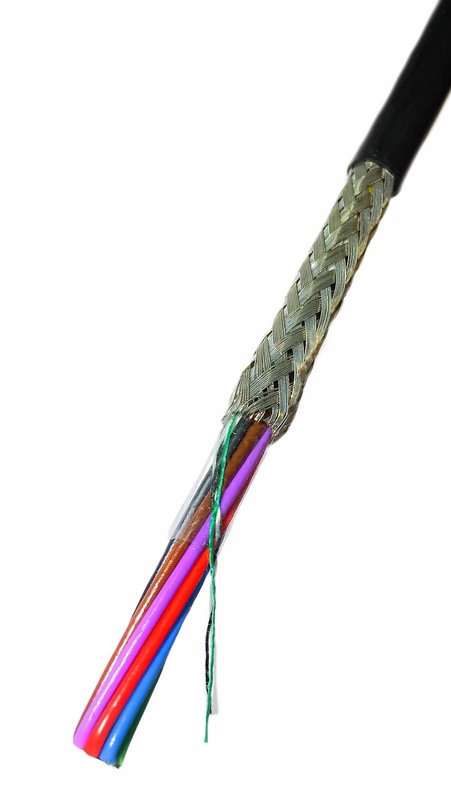 These cables are used for instrumentation purposes,data processing, computers and other electronic equipment. No of Diameter (mm) Approx Weight NATO Stock No. No of braid screen (mm) Overall Diameter (mm) Approx Wt NATO Stock No. No of Braid Diameter (mm) Overall Diameter (mm) Approx Wt NATO Stock No.